WAN has been the norms for many large scale businesses who have thousands of workforce working from different locations, which made enterprises to have seamless networking which can help them communicate & transmit information and data swiftly, but with time these WAN networks are becoming obsolete and failing to perform eficiently becuase of huge speed and bandwidth demand in the current market dynamics. So now traditional WAN is being replaced by Software Driven WAN. It is a telecommunications network or computer network that extends over a large geographical distance/place. Wide area networks are often established with leased telecommunication circuits. SD-WAN is a new age WAN which is transforming the concpet of Business networking making corporate offices global presence more effective and cost efficient. The software-defined wide-area network (SD-WAN or SDWAN) is a specific application of software-defined networking (SDN) technology applied to WAN connections, which are used to connect enterprise networks — including branch offices and data centers — over large geographic distances. An SD-WAN simplifies the management and operation of a WAN by decoupling (separating) the networking hardware from its control mechanism. This concept is similar to how software-defined networking implements virtualization technology to improve data center management and operation. What & Why Of SD-WAN ? As our aspirations soared high we humans started to innovate and create new tools and technology to make our life super easy and effiicient . This process of evolution applies with everything on this earth. Technology always evolves to new phase due to some limitation with the exisiting one, on the same note there were some limitation with existing WAN model of networking which led to the evlution of SD-WAN. Let me put out some of the prominent reason this software powred WAN has came into existence and is becoming widely popular in networking arena. 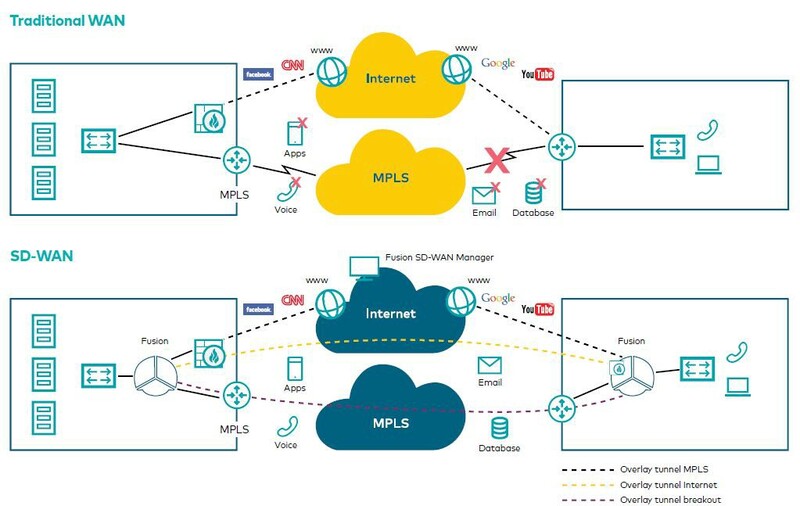 SD-WAN is a hybrid WAN architecture that integrates multiple MPLS, mobile, and broadband paths together to provide a single, logical, virtualized path that can dynamically adapt to network conditions. It also facilitates app prioritization to allow most relevant app to perform at their peak. 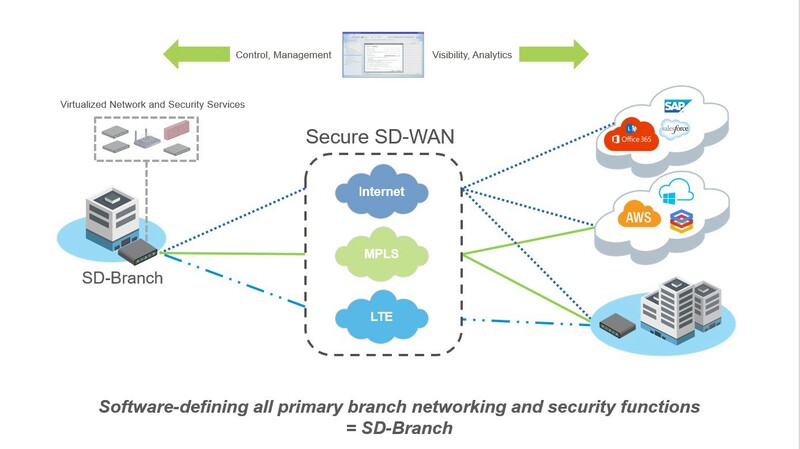 SD-WAN optimize WAN to addresses evolving application and branch infrastructure requirements. With mobility transforming the life of the masses and generating data at such a massive scale, there is an ever increasing demand of optimized Software Driven Networks to support these business critical applications. As these apps are the window for Enterprises to engage with their customers globally. There is also a need to minimize the infrastructure cost for businesses to adopt to these rapid changing market demands. SD-WAN will soon be the norms for the large scale enterprises who are serving their customers all around the globe and have offices to maintain and manage their data.